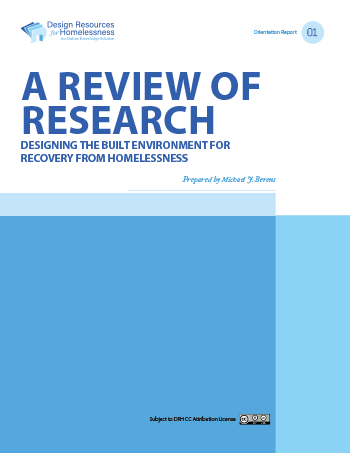 This review of research was undertaken to identify, aggregate and summarize known quantitative and qualitative insights about how to design the interiors of environments for persons that have experienced mild or major trauma, including but not limited to homelessness. It focuses on the local, intimate level of human-built environment interaction that often is neglected in available guidelines and literature. This report presents findings from approximately 140 sources, gleaned from a larger pool of one thousand citations across multiple fields. Where applicable, the report points out practical implications or applications for designers. An anthology of sources is provided. 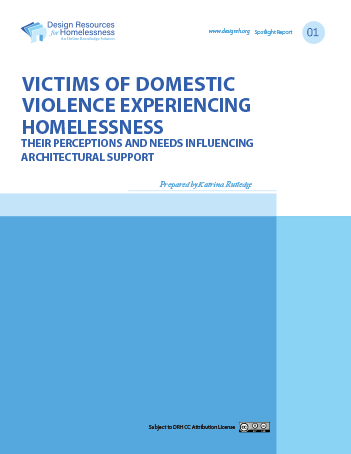 Persons that experience homelessness vary greatly in their backgrounds, causes of crisis, and nature of their perceptions. 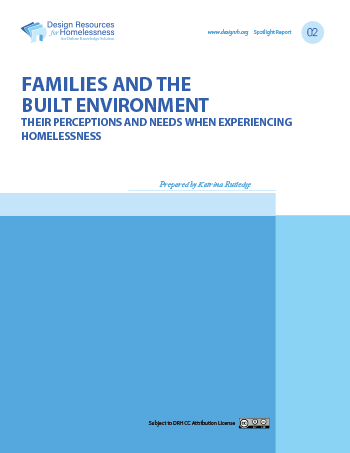 As they are best served by environments that attend to their specific needs where possible, these reports delve into the specific characteristics of selected populations whose qualities are under-examined, and would benefit from environments that include features that support their recovery. The reports identifies the population, provides a selection of their first-person stories, and extracts practical conclusions that can help guide architectural and interior design programming and product selection. Empirical studies provide architects, designers and organizations the opportunity to let research findings positively influence the design or renovation of built environments. This bibliography is a living and evolving list of publications useful for researchers embarking on their own studies, or for architects and designers undertaking their programming tasks.